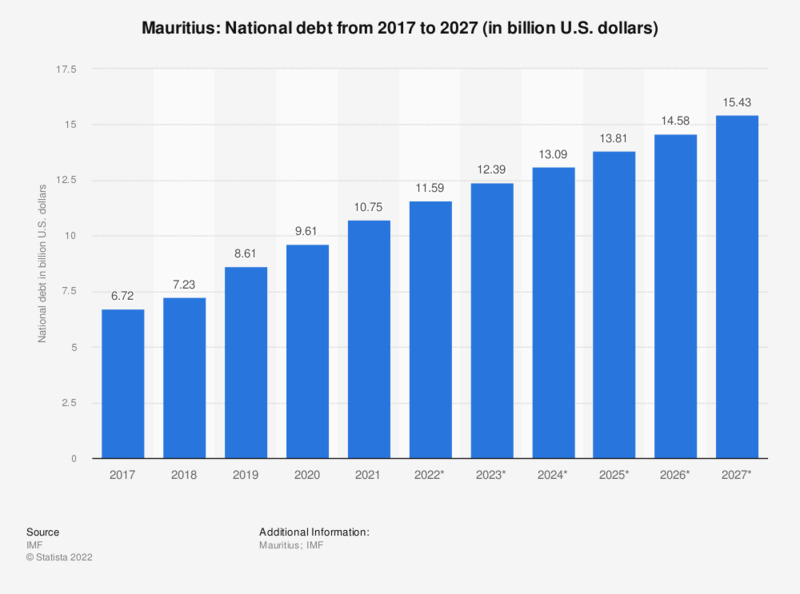 The statistic shows the national debt of Mauritius from 2012 to 2018, with projections up until 2022. In 2018, the national debt of Mauritius amounted to around 9.26 billion U.S. dollars. Values have been rounded for better understanding of the statistic. Exchange rate as of November 28, 2018, 1 MUR = 0.0288847 U.S. dollars.